Indian model and television presenter Archana Vijaya came into scene in 2004 when she won the reality supermodel hunt, Get Gorgeous Season 1. She earned a lot of fame and popularity from the show that changed her life forever. She has since had a successful career both as a model and television presenter, and has walked the ramp at various fashion shows including Milan, Singapore and Paris. Talking about her television career, she has hosted a number of corporate events, travel, music and cricketing shows. Archana returns to IPL (2018) Season 11 as a co-host and is all set to amuse the cricket lovers with her charismatic style and grace. Archana Vijaya was born on 17 November 1982, in Kolkata, West Bengal, India. She attended Loreto College, Kolkata and earned a bachelor’s degree from the University of Calcutta. Archana Vijaya married Dheeraj Puri in a lavish beach wedding in Thailand, on February 4, 2015. She hasn’t been a cast in any feature film as of now. 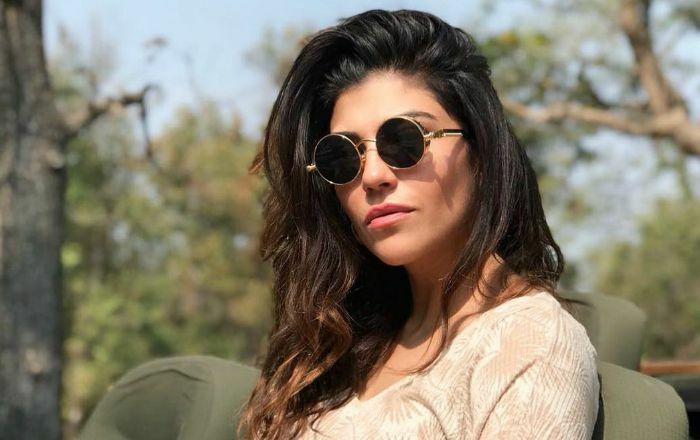 Archana Vijaya made her television debut in 2004 by participating in the Indian reality show, Got Gorgeous Seaosn 1 and was declared the winner of that season along with Aarohi Mishra, Natasha Suri and Tanvi Singh. She has modeled for various brands and sporting events including Samsung, Sun Microsystems, ICICI bank, EOPL, Cipla, LG circuit. Smirnoff experience across India, and Sula Fest, among others. Unfortunately, there’s no information available about her net worth. She started her career as a model walking the runway for famous designer and leading fashion houses. She first walked the ramp at Rome Fashion Week after winning the reality show Got Gorgeous Season 1. After winning the first season of the reality show Got Gorgeous, she got to host the second season. Archana Vijaya worked as a VJ in Channel V.
She hosted the fourth season of IPL in 2011. She has appeared on TV shows like Life Mein Ek Baar and Khatron Ke Khiladi Pain In Spain. She has modeled for many fashion designers such as Tarun Tahiliani, Rohit Bal, Narendra Kumar, Sabyasachi and Manish Malhotra. Archana Vijaya has signed up with Neo Sports for few years now and has hosted popular cricket shows like “Cricket Masala Mar Ke” and “Tour Diary for Extra Cover”. She has hosted various sporting events in domestic and international circuits like Celebrity Cricket League (2013), IIFA (2013), Audi Generation Football Cup 2011, India – Bangladesh Series 2010, to name a few. She owns an online merchandise store called Label Kiss which offers several products ranging from fashion to jewellery along with women and men’s accessories. She is among the female anchors who will be presenting this season of the Indian Premier League, the biggest sporting extravaganza on Indian television, for Sony Max.